I’ll be honest, our first two trips to Istanbul, we weren’t all that impressed with the cuisine we were eating. That probably has to do with the fact that we kept ordering the same dish, kebap, hoping it would be similar to the incredible Persian kebap Shane grew up with. But once I got ahold of Biber Dolması, I feel like my life was forever changed. 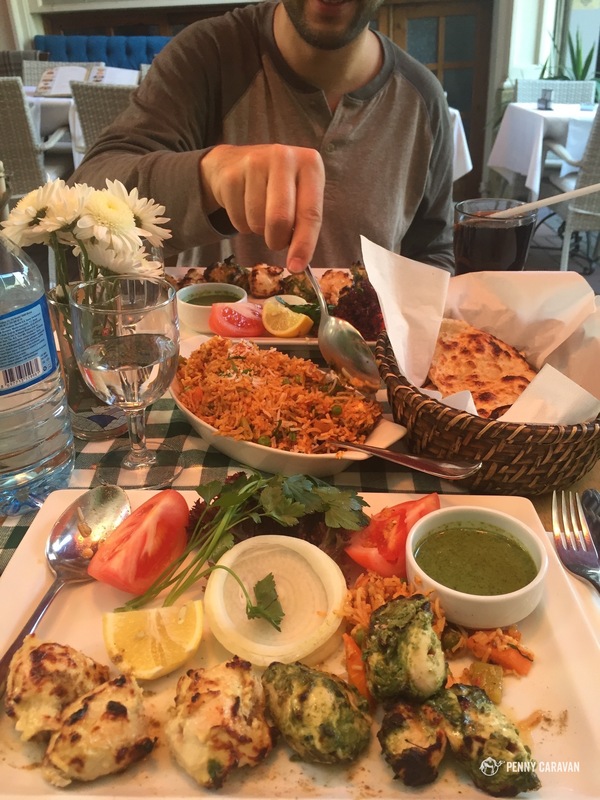 And the more we have sought out restaurants off the beaten tourist path of this ancient city, the more we have fallen in love with Turkish cuisine. 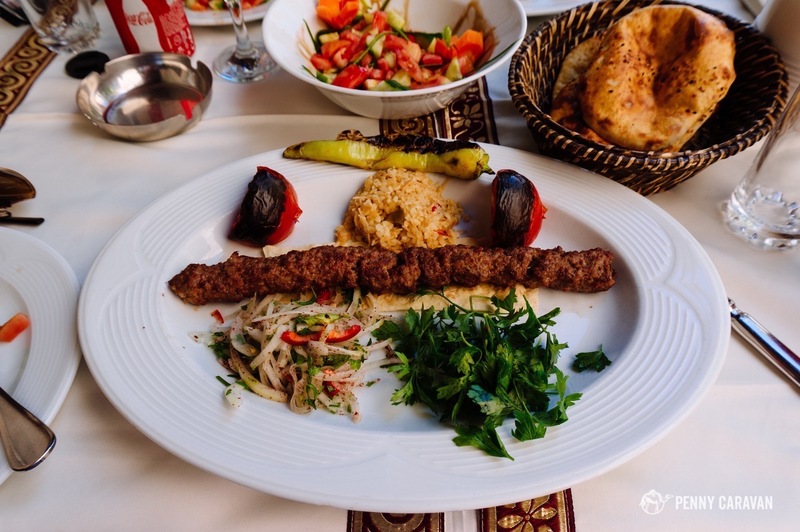 Kebap is a staple that is served everywhere, usually with rice and grilled vegetables. 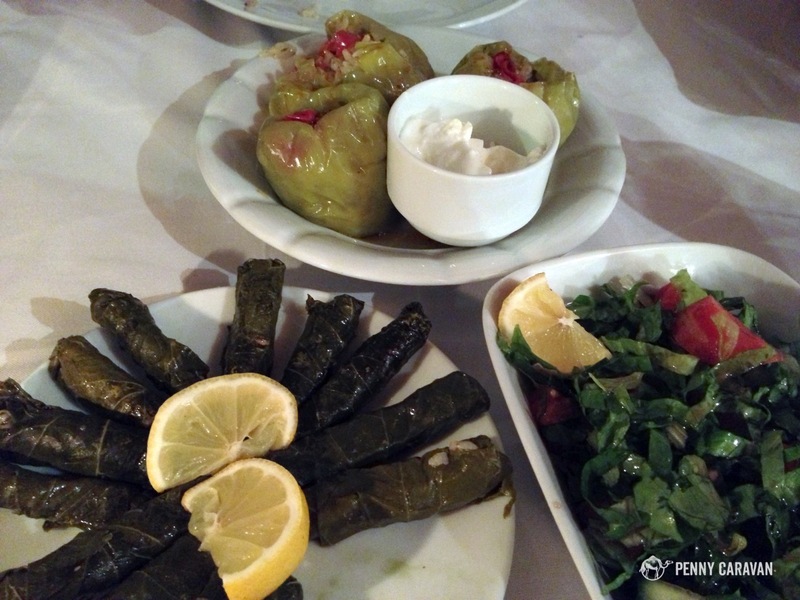 Different varieties of dolma, which are stuffed with vegetables and rice. Çoban Salad on the right. Teste Kebap is a dish of lamb or chicken, vegetables and rice cooked in a ceramic pot and usually served flaming. 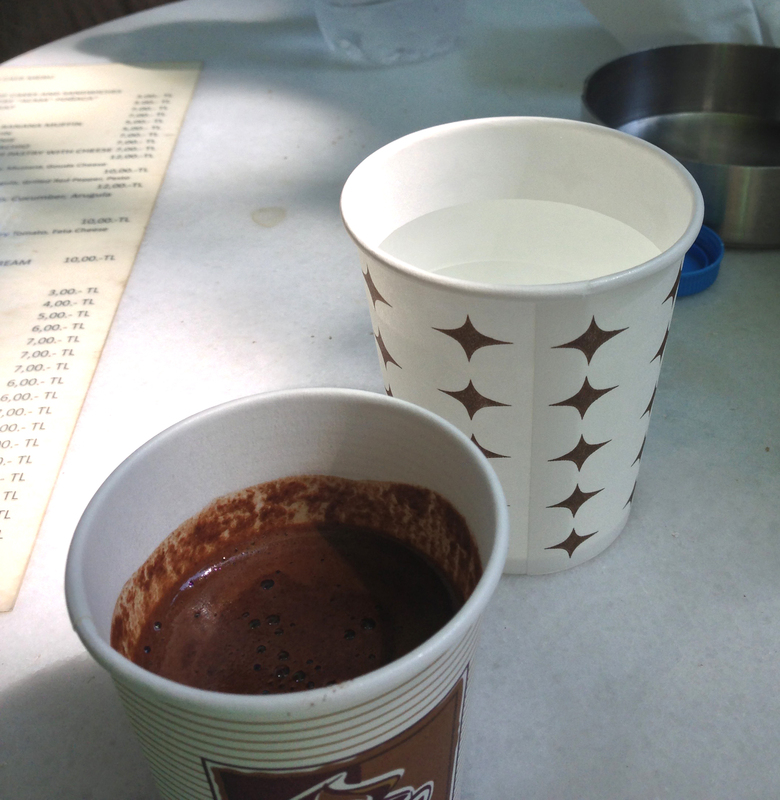 Turkish coffee is strong and thick. 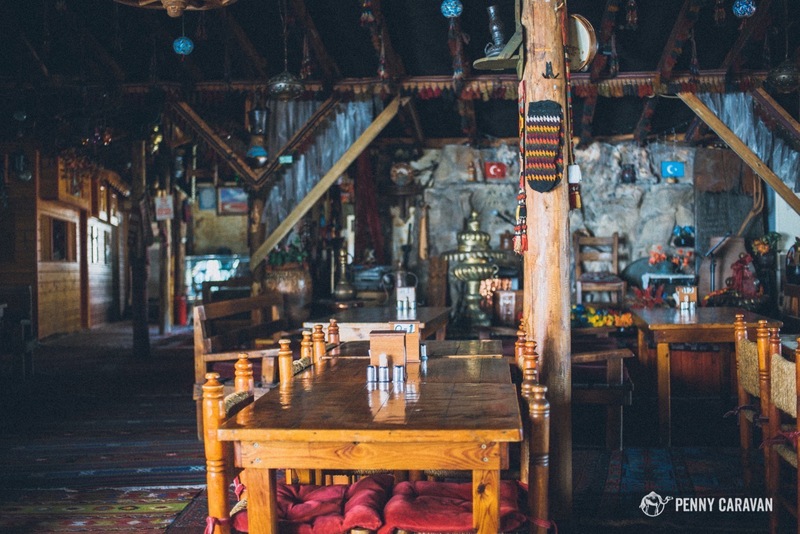 Many of the tourist restaurants serve both Turkish and “American” coffee, so you’ll have to distinguish which one you prefer! Raki is the national alcoholic beverage. 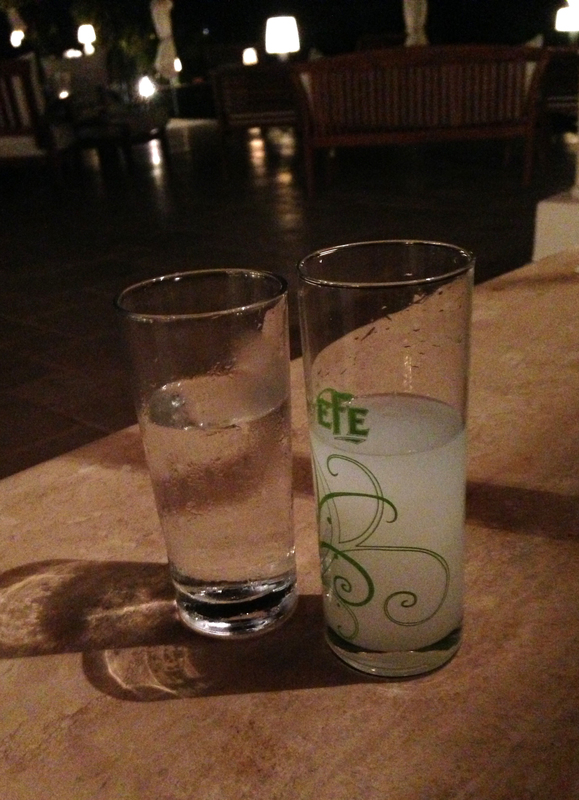 It’s a strong aniseed drink that’s served with a glass of water, which you pour into the raki so that it becomes cloudy like you see above. 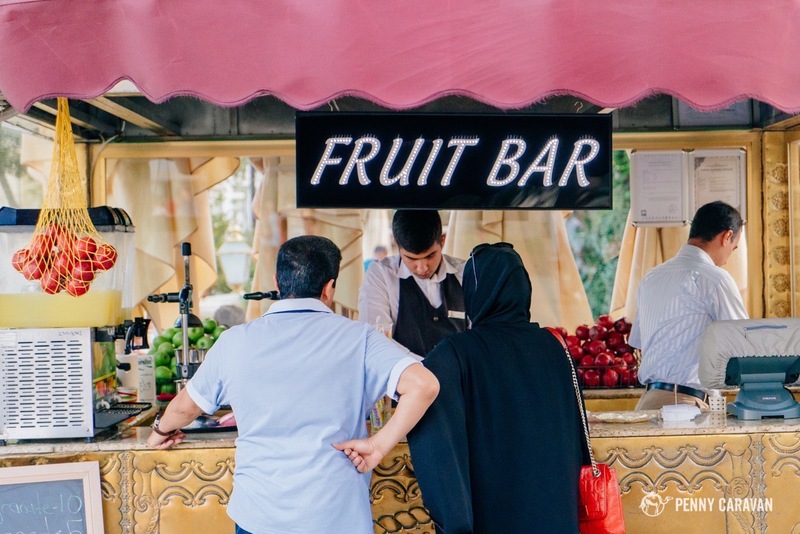 These fruit juice stands are everywhere and make the best fresh-squeezed pomegranate juice! You may see street vendors cooking this dish called Kokoreç (lamb intestines). I haven’t tried it yet! 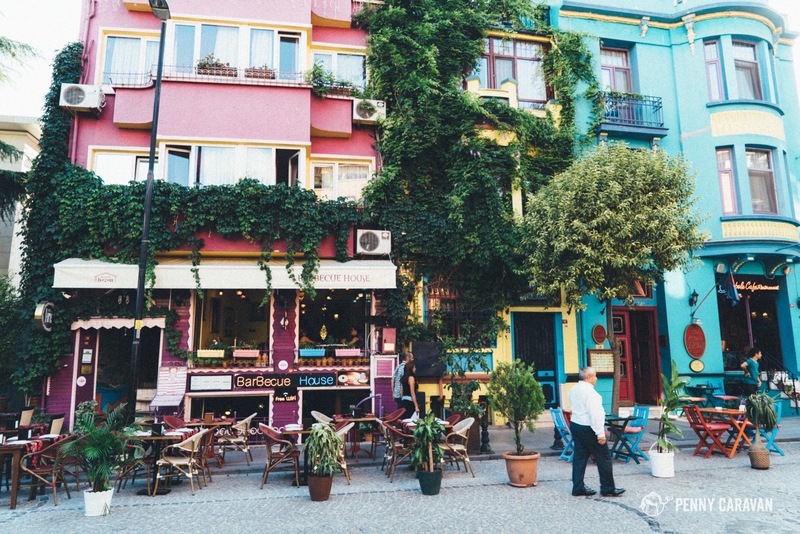 If you’re only spending a few days in Istanbul, it’s likely that you’ll stick to the Sultanahmet and Eminönü neighborhoods which are located in the Fatih district. 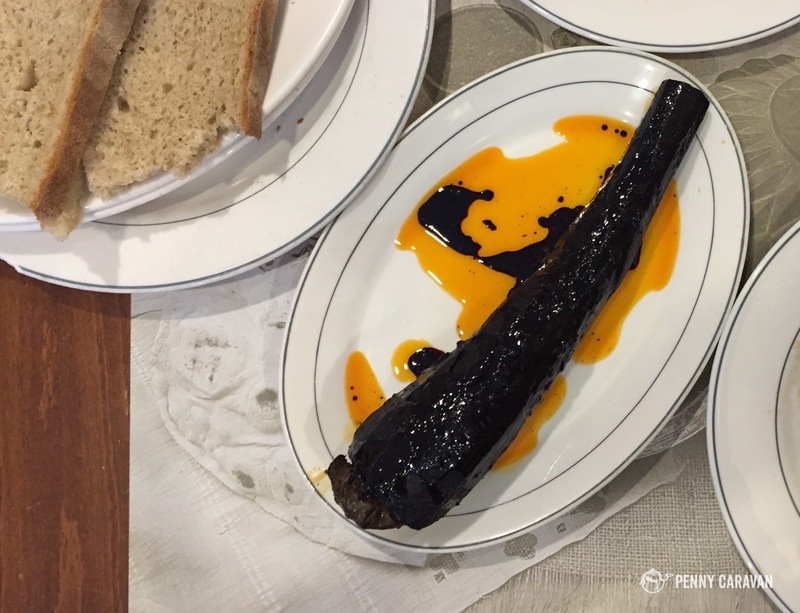 There are definitely a lot of tourist restaurants located here, but the good news is, there’s a ton to choose from and if you know which ones to look for, you can eat very good here. 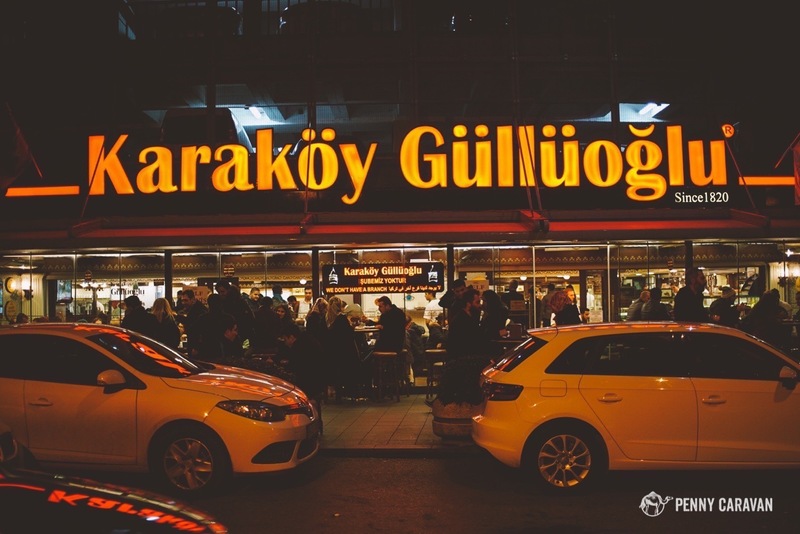 Seafood connoisseurs will enjoy the cuisine near the Spice Bazaar, where local fisherman sell their Bosphorus catches to the restaurants located under Galata Bridge. 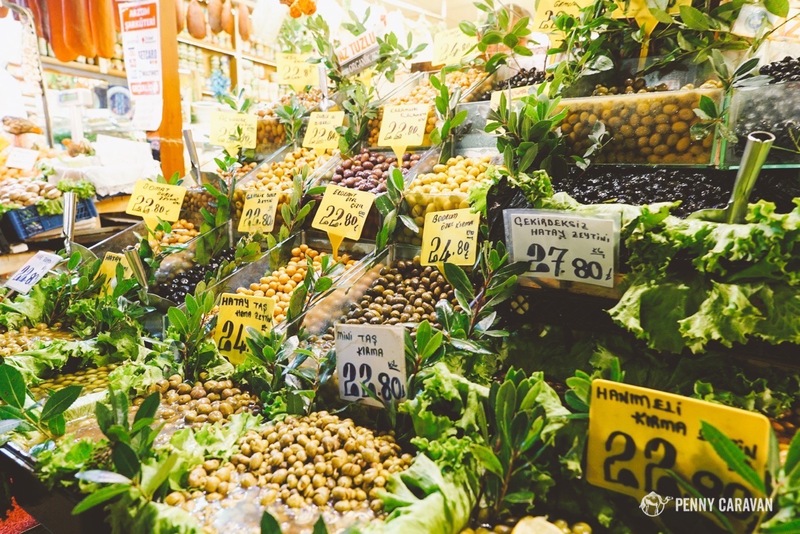 Don’t forget to stop into the Spice Bazaar for spices to bring home as souvenirs. 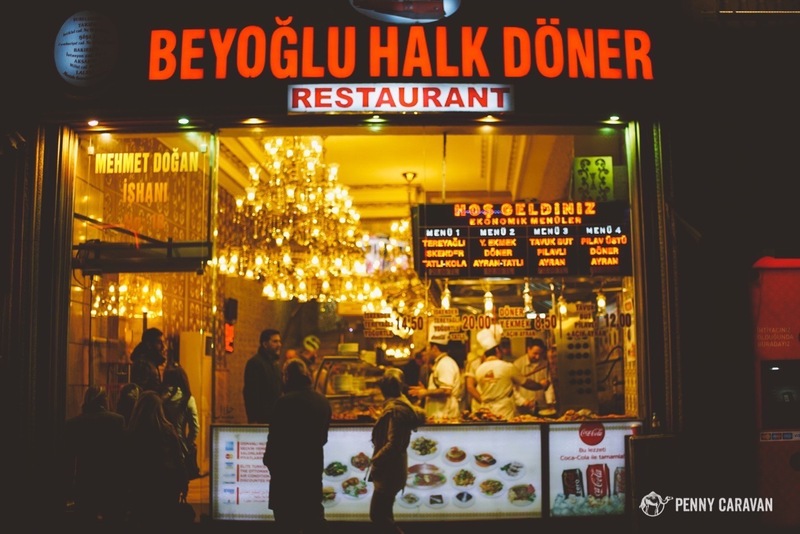 Sultanahmet is lined with beautiful restaurants. 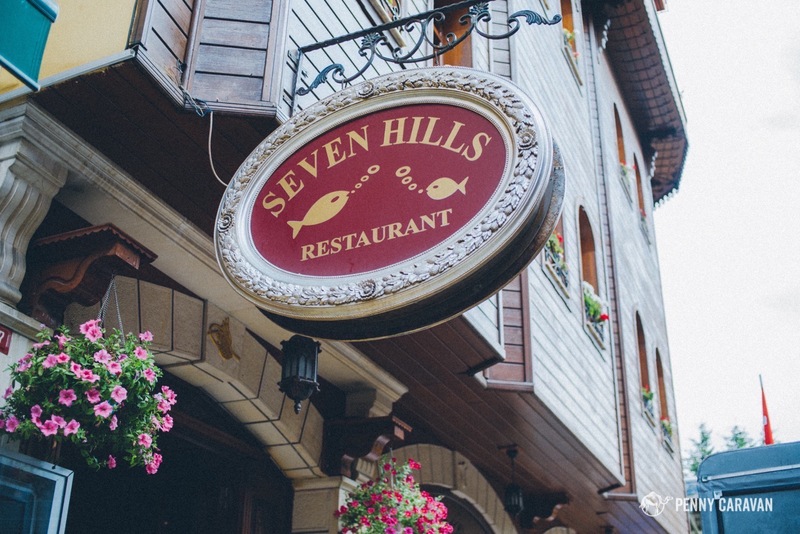 This restaurant was on the pricier side but offered fantastic seafood and other international fare. 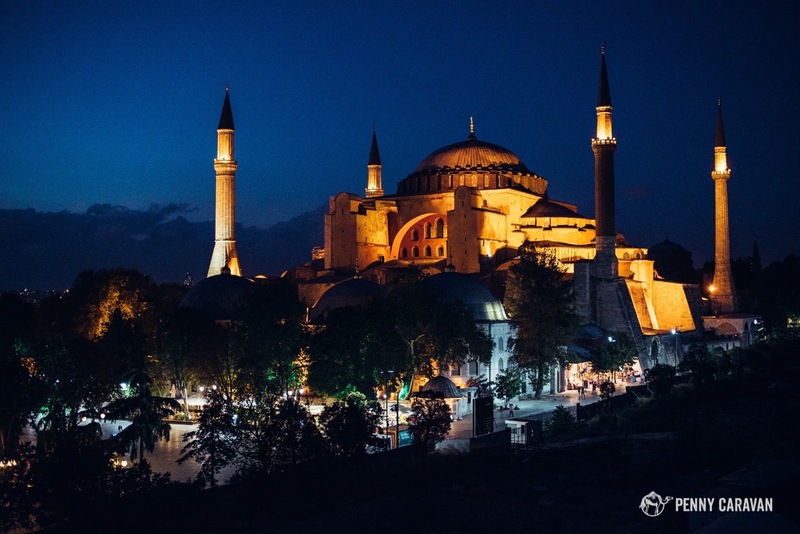 Being located in the top floors of one of the tallest buildings in Sultanahmet, their rooftop terrace definitely offers the absolute best views with unobstructed sightline to the Blue Mosque on one side and the Aya Sofya on the other side. Eat here for dinner when the mosques are lit up—it’s breathtaking. 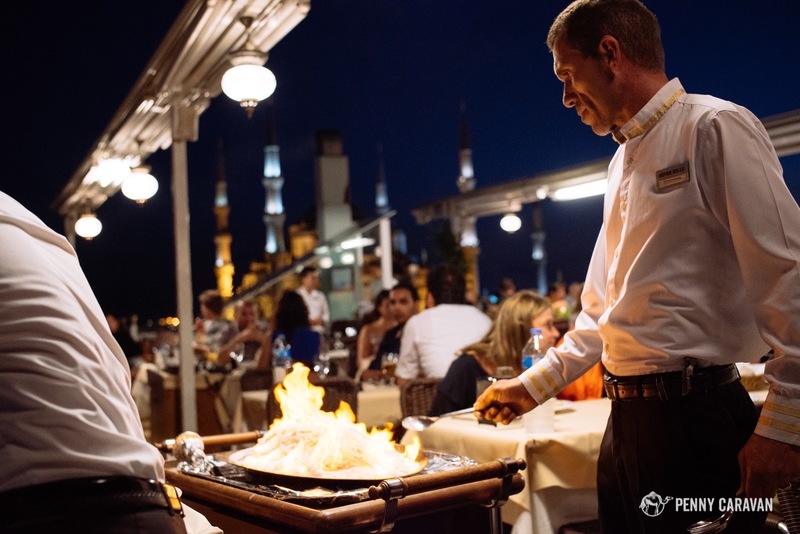 Waiter serving a flaming salt-crusted fish with the minarets of the Blue Mosque behind. View of the Aya Sofya from the rooftop. 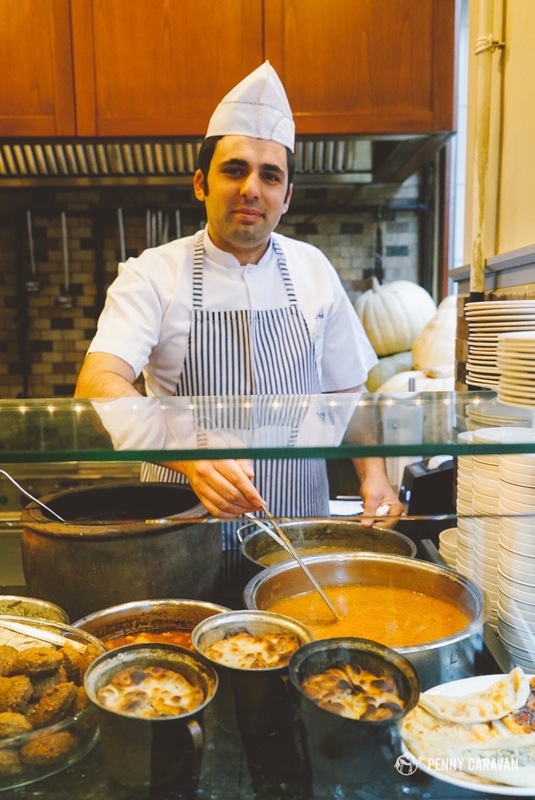 This restaurant serves an Indian menu as well as a Turkish menu! 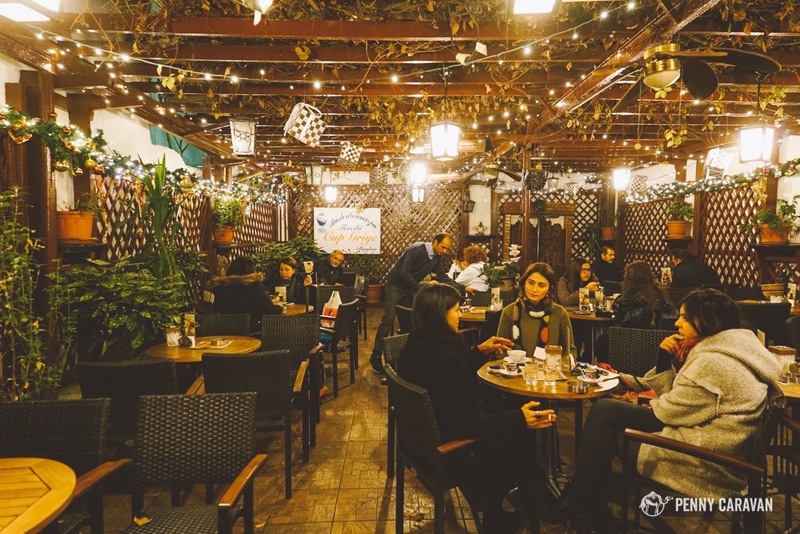 It’s one of our favorite places in Sultanahmet, located very near the Aya Sofya, which makes it a good stopping point on your walking tour of the area. Eat streetside for unending people-watching entertainment. We like this place because it’s right at the end of the Arasta Bazaar, kind of in the crossroads between the bazaar and the steps that lead to the Blue Mosque. We frequently stop in to have pomegranate juice or tea with some snacks. The older local men play chess and backgammon here all day, and at night the place is packed with families smoking nargile. 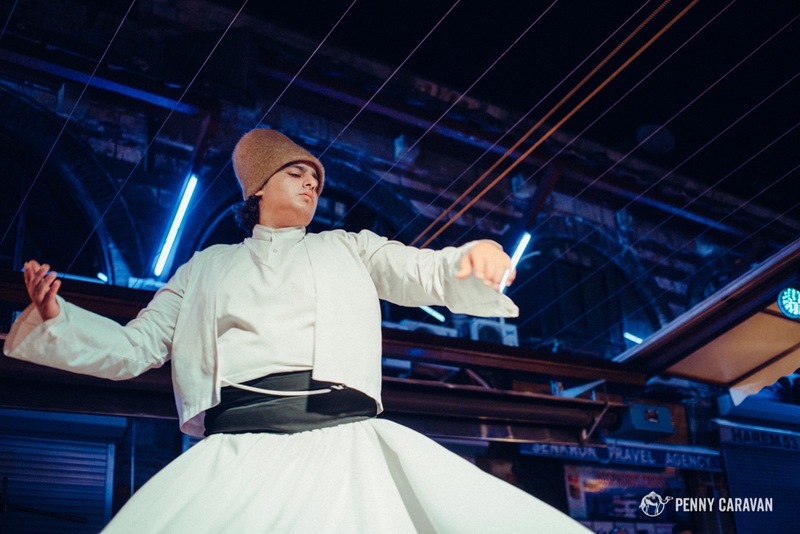 Sometimes, the stage hosts musicians or members of the Mevlevi order (whirling dervishes). 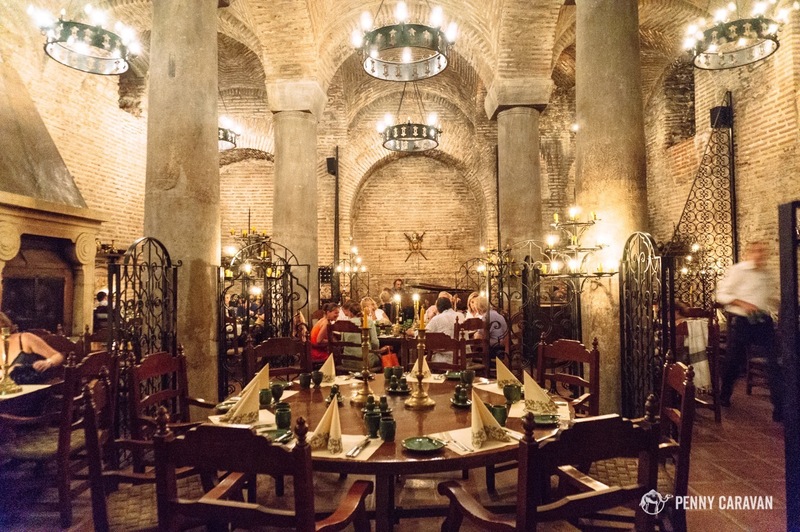 Possibly the most romantic restaurant in Istanbul, this one is located underground inside a renovated 1500-year-old Roman water cistern. While the food wasn’t worth raving about, the ambiance was simply unforgettable. 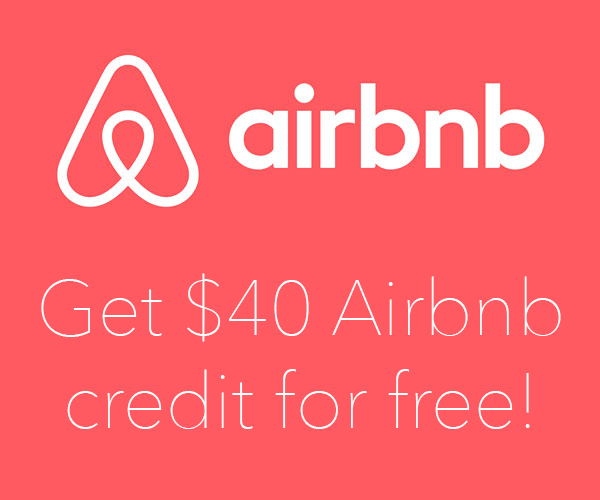 There’s no better way to immerse yourself in the ancient history of the city! Reservations are required here. I’ll admit that this one is a tourist restaurant, with large amounts of seating specifically to cater to tour buses. But, it’s located right at the southwest corner of the hippodrome so if you’re in the area and hungry, it’s a good place to stop! 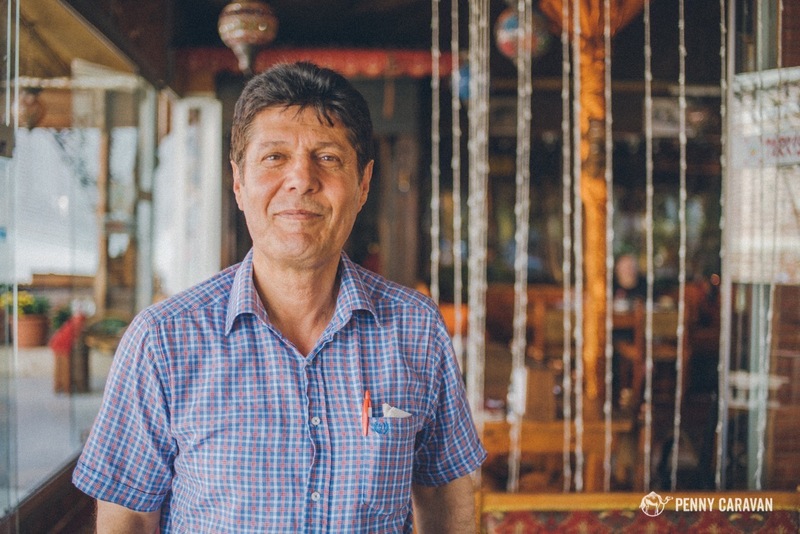 Our waiter, Mehmet, offered us a wonderful history of the Turkestan people who migrated all the way from Central Asia and for whom Turkey is named. Mehmet, our waiter at Turkestan. This one is located near the Grand Bazaar. Shane insists on eating here every time we’re in Istanbul, because he swears it’s one of the best burgers he’s ever had. And we should know—we are from Texas after all. 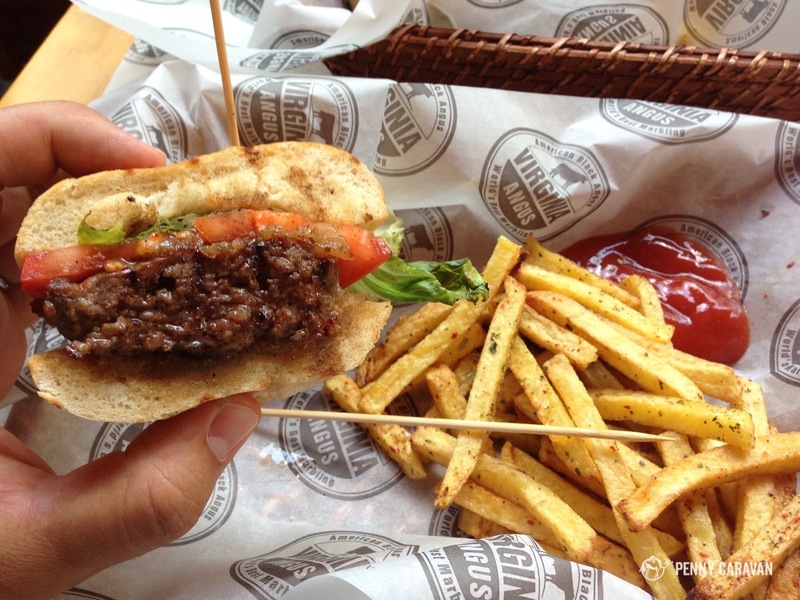 Virginia Angus, the tastiest burger in Istanbul! 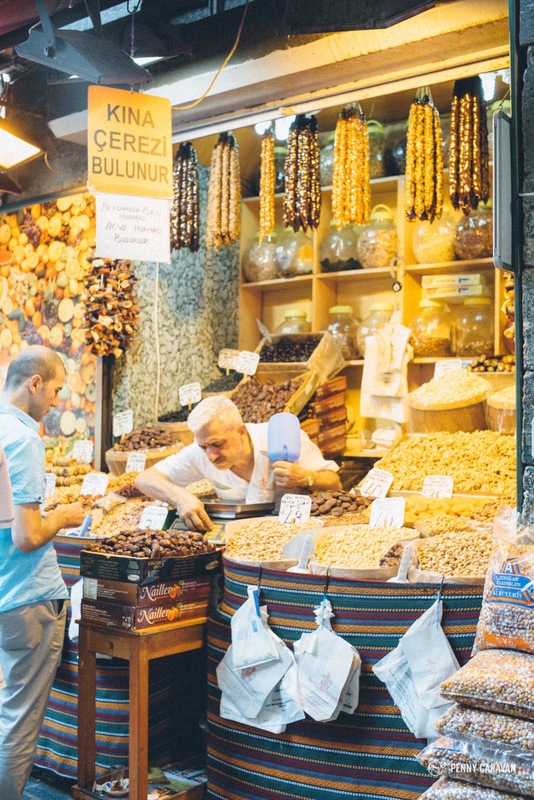 No visit to Istanbul would be complete without a trip to the Spice Bazaar! Pick up some of the spices you’ve experienced so you can try your hand at cooking with them at home. 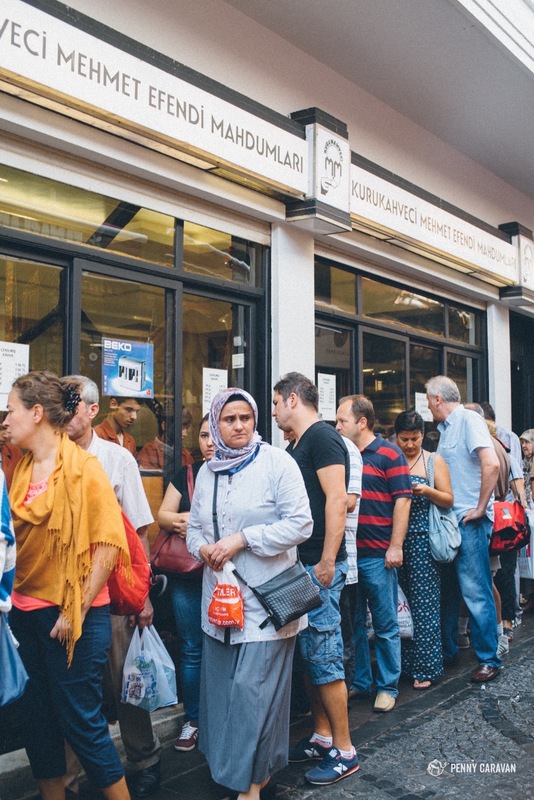 And if you’ve decided you enjoy Turkish coffee, you absolutely must get a bag of roasted coffee from Kurukahveci Mehmet Efendi, for which there will undoubtedly be a long line. 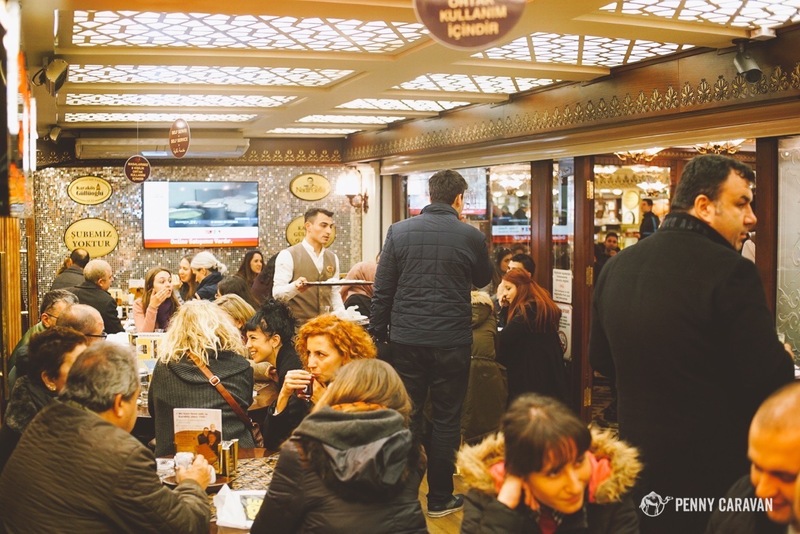 Coffee lovers should definitely stop by Mehmet Efendi’s to grab some turkish coffee to take home! The line is always long—it’s just that good. 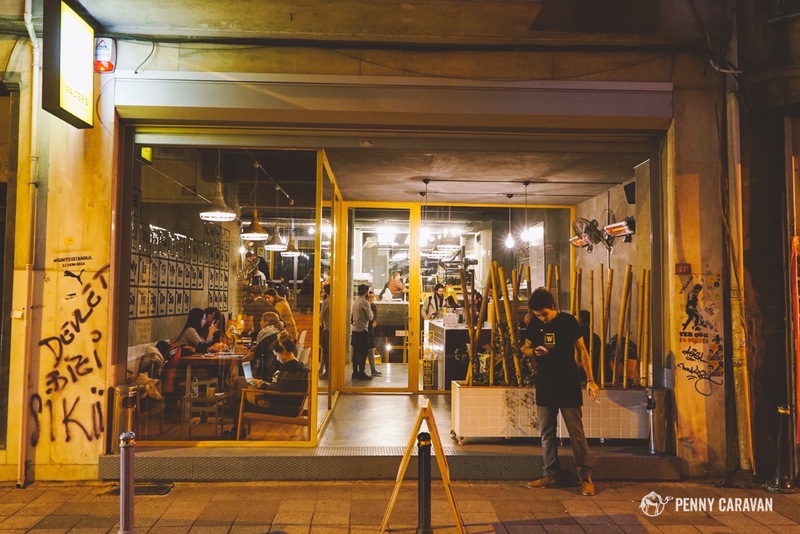 Beyoğlu is the artsy district of Istanbul, and a very cool place to hang out at night. 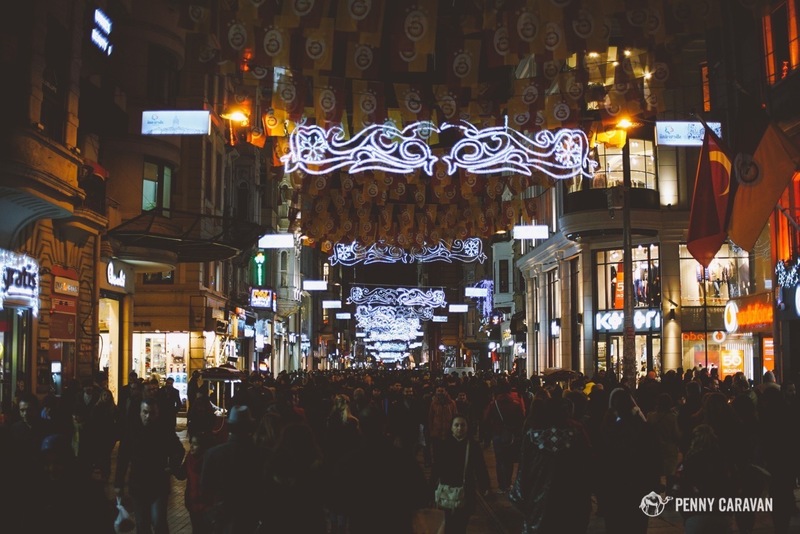 After watching the sun set at Galata Tower, walk around to find some of the best restaurants in Istanbul before finishing your evening with a stroll down Istiklal Street, which is always bustling with foot traffic. 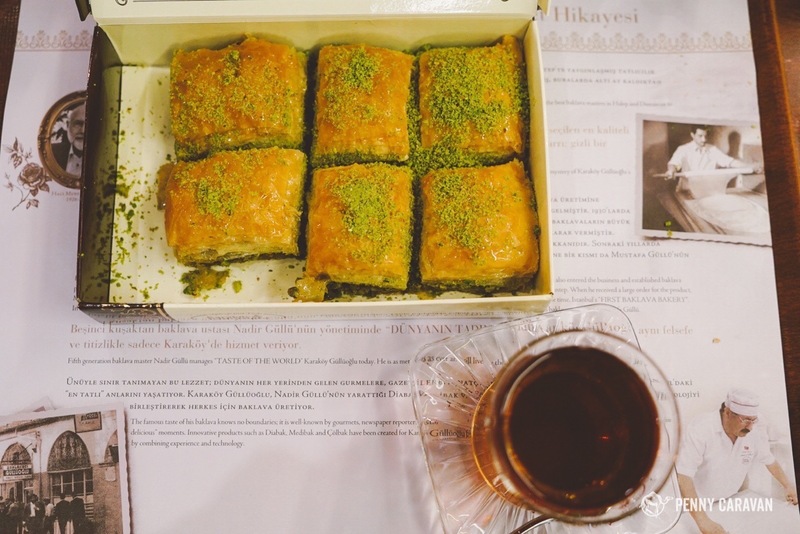 This bakery offers treats such as lokum and baklava. 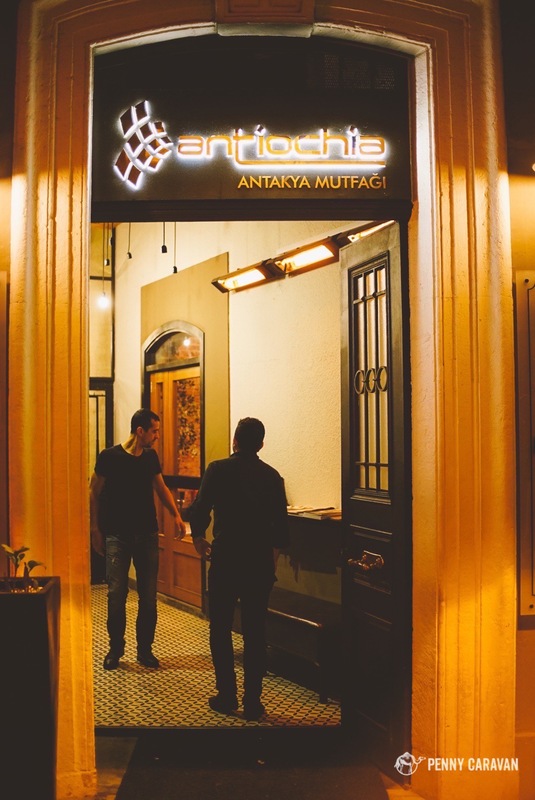 We were very impressed with the menu and ambiance at Antiochia, a restaurant located just down the street from Galata Tower. Rated very highly and surprisingly affordable for the quality of the meal, this restaurant quickly rose the ranks on our favorite Stamboul stops. Chicken kebap at Antiochia. 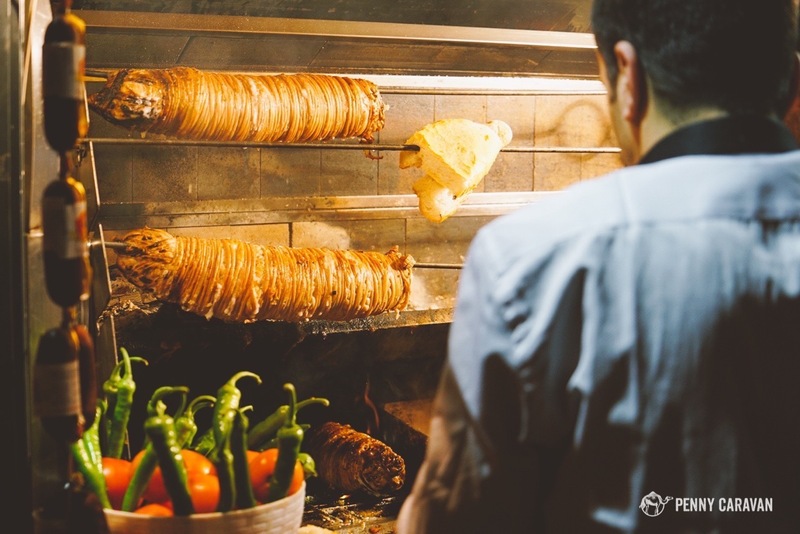 Best served with a glass of Efes, the national beer! Babel is quite small and quiet, but is one of the highest rated restaurants in Istanbul with lots of options for vegetarians. 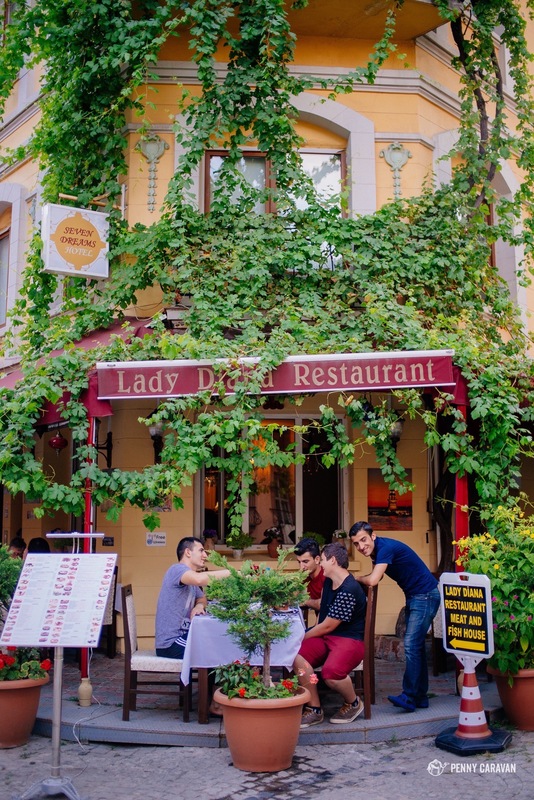 If you’re looking for an intimate place near Istiklal to spend the evening, we highly recommend the food here. 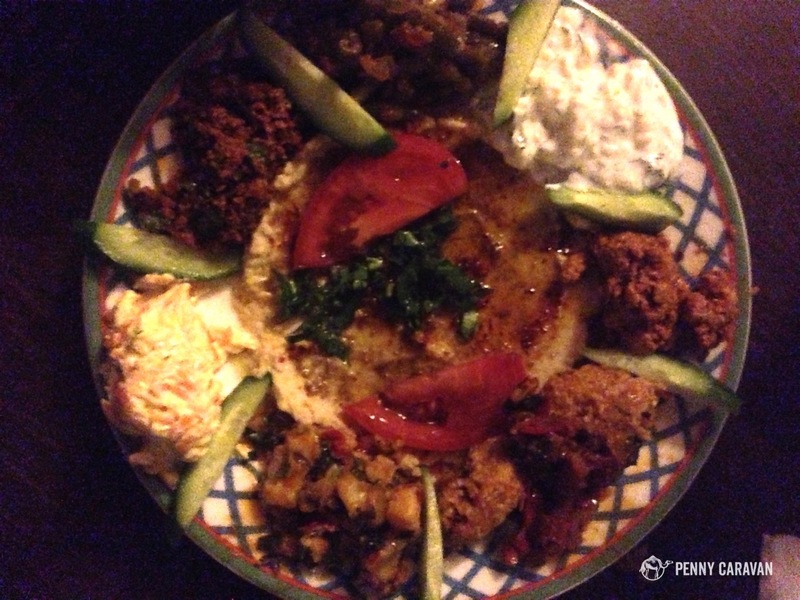 We didn’t get many good pics at Babel, but this mezze plate was one of the best we had! 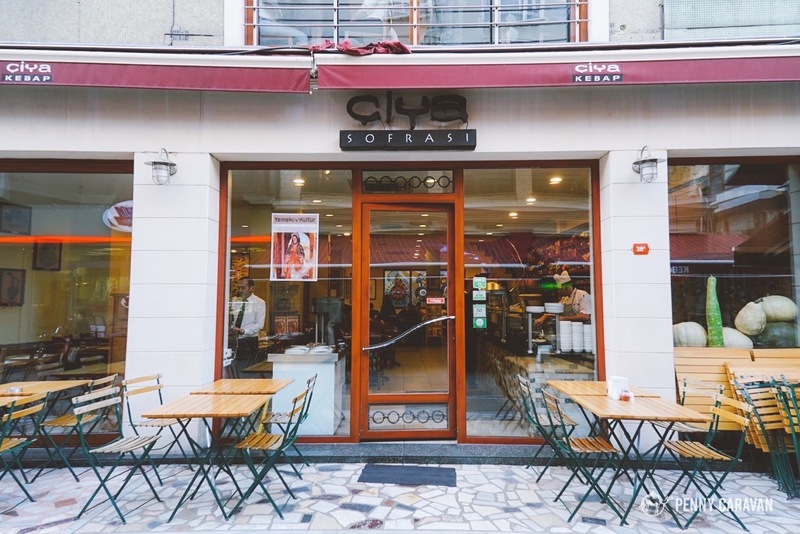 If you’re on Istiklal street and want to see what you’re ordering, go here! 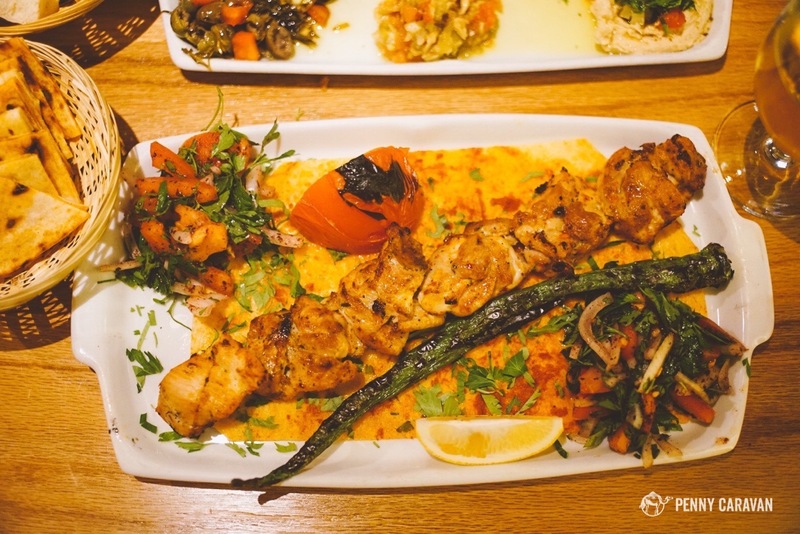 It’s cafeteria-style, so you can see everything they offer before you decide what to eat, making it a great introduction to Turkish food. We were pleasantly surprised at how good it was because it was one of the least expensive places we ate. 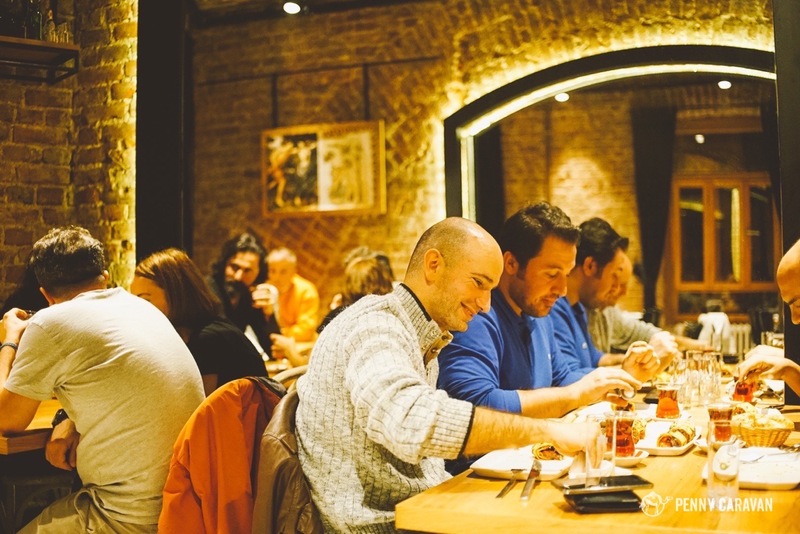 Fantastic point-and-pick restaurant right on Istiklal Street. Great way to sample a lot of dishes. 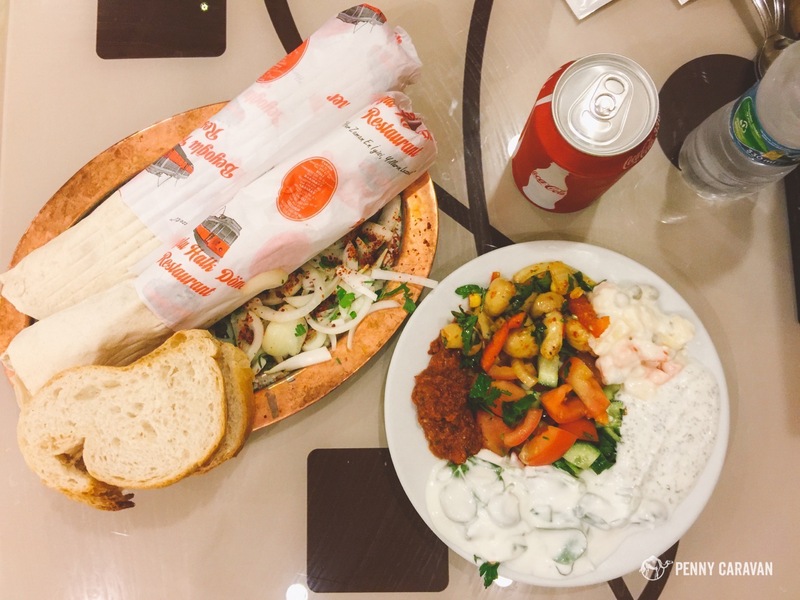 Two doner sandwiches with a plate of mezzes to share, plus drinks, for $12USD. 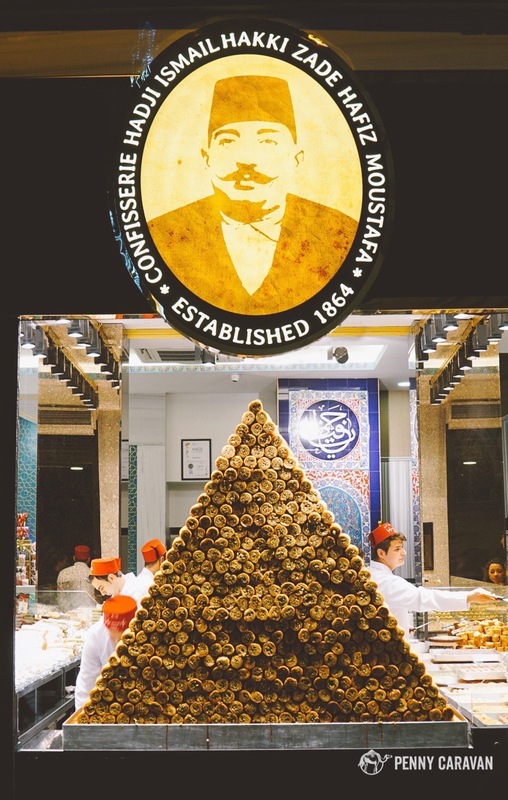 The best and oldest baklava eatery in Istanbul. If the place is so crowded you can barely find a seat, that’s a pretty good sign that it’s gonna be delicious! Baklava with pistachios, served with tea of course. 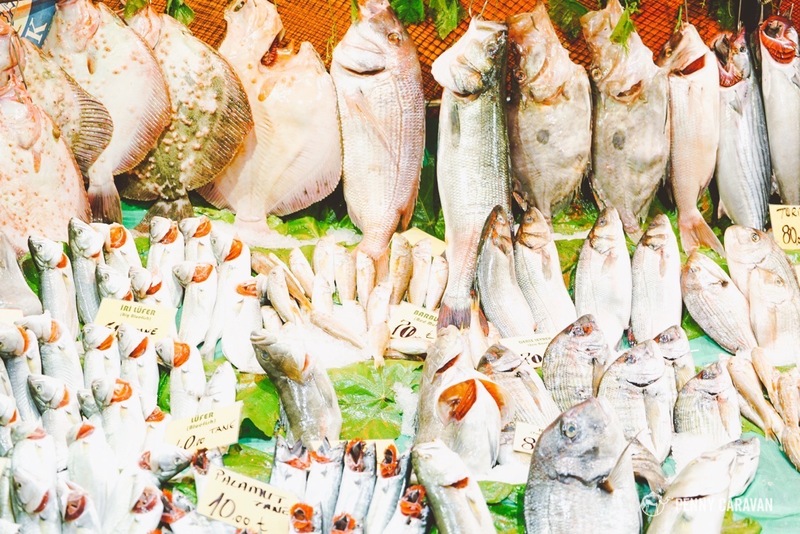 On our third trip to Istanbul we finally took the ferry to Kadıköy to experience the fish market. 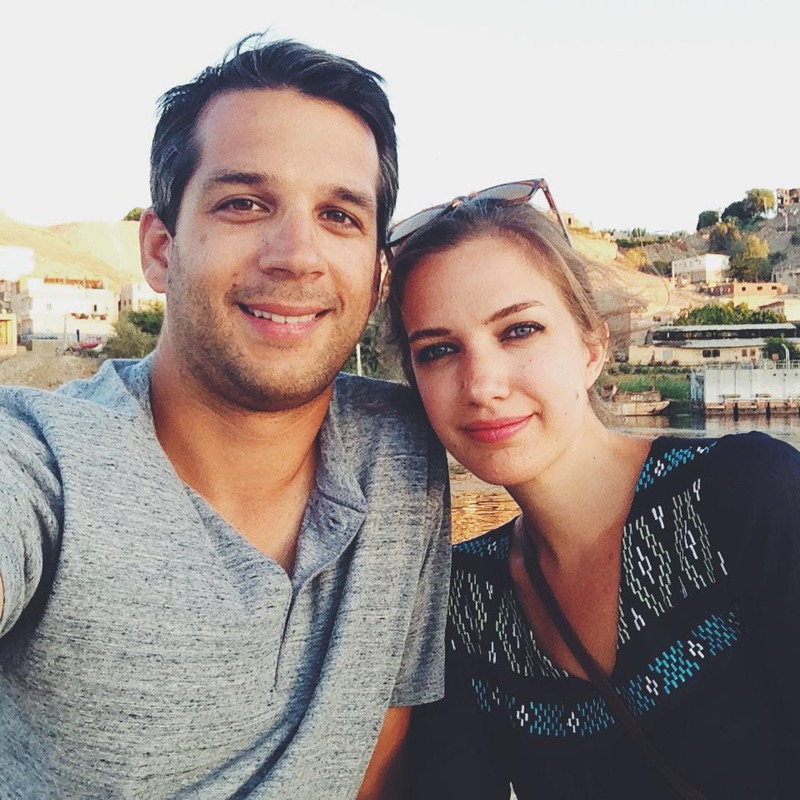 We also had our eye on a highly rated restaurant that specializes in authentic Ottoman cuisine. 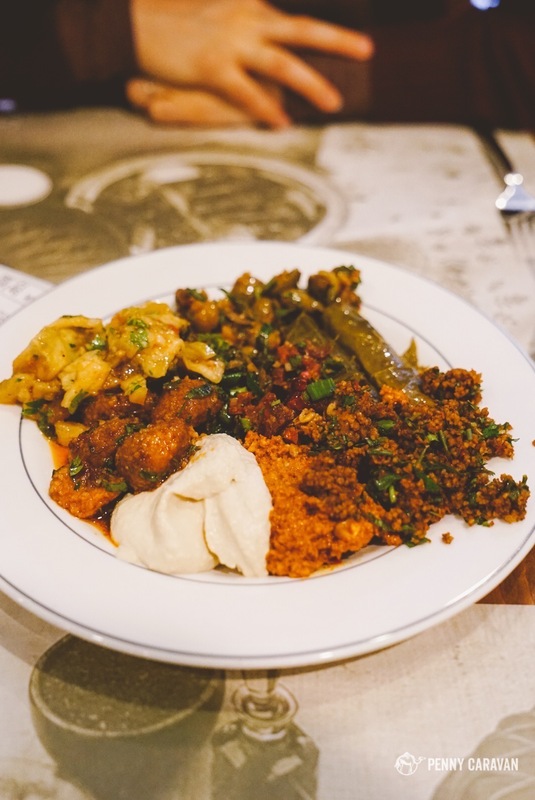 We got more than we asked for in Kadıköy—it’s potentially a foodie haven to which we can’t wait to return! Kadıköy market streets are lined with restaurants. 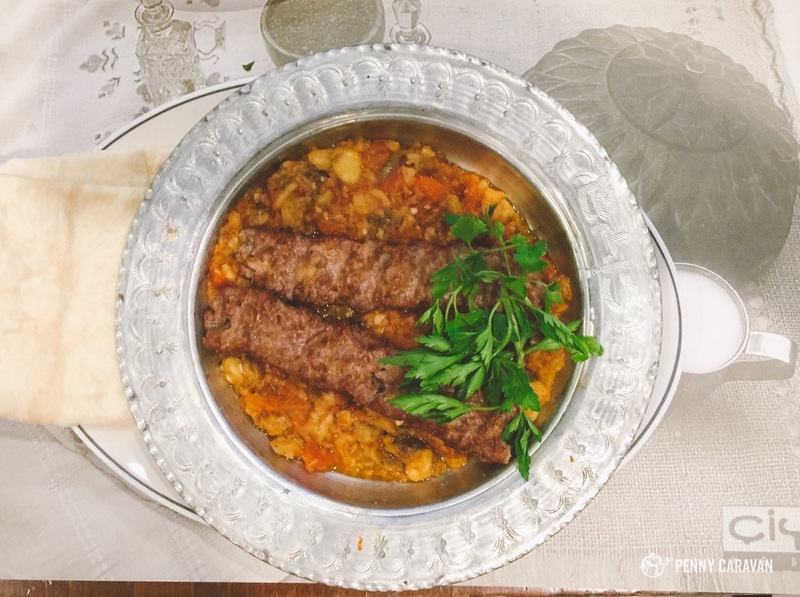 This restaurant has revived the authentic Ottoman dishes of ancient times. 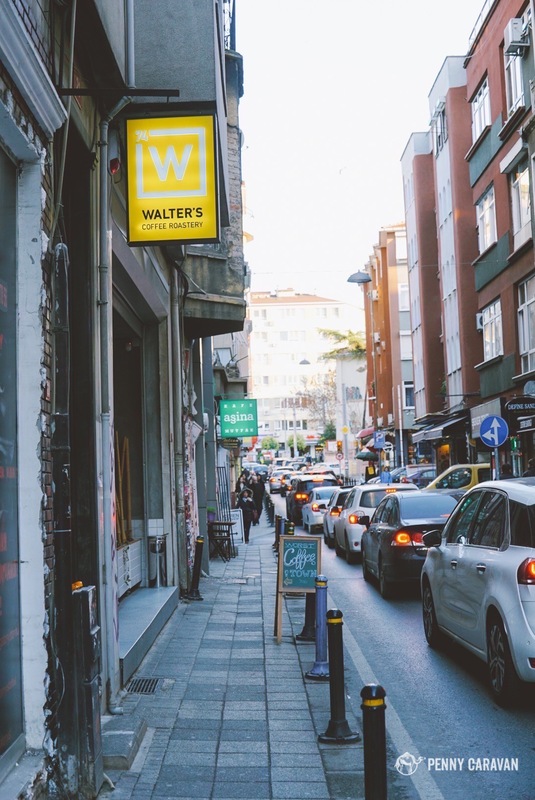 If you’re spending the day in Kadıköy, this is the perfect place to have lunch or dinner. Don’t be afraid to try something new—it’s all good! 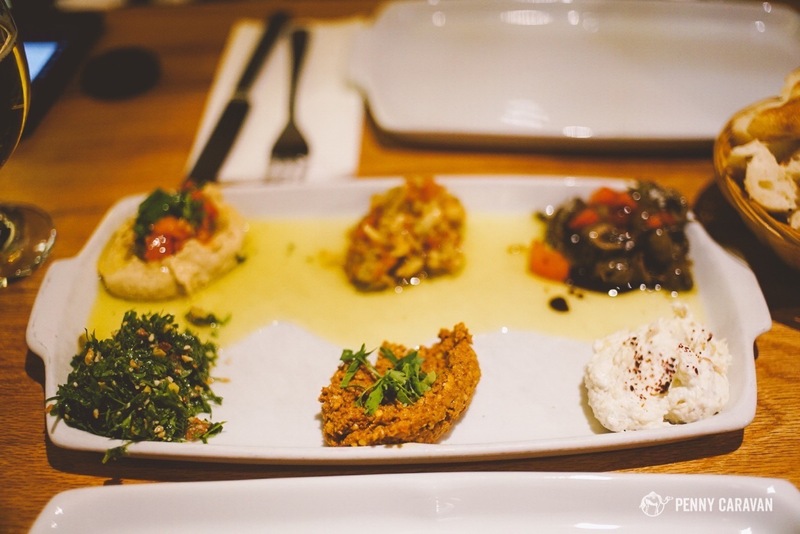 At the counter, you can make your own mezze plate for an appetizer, priced by weight. Lamb kebap on a plate of aubergines, ordered off the menu. 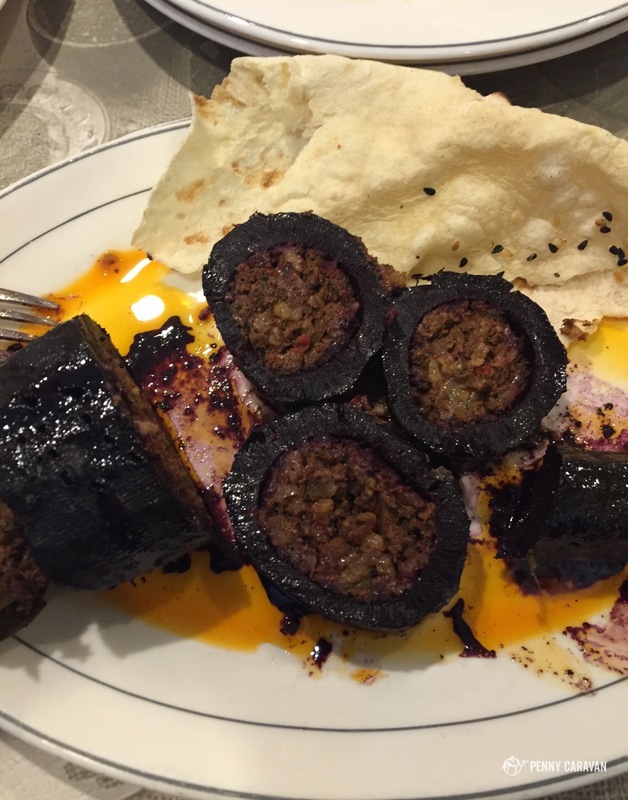 I was adventurous and ordered a black carrot stuffed with lamb. 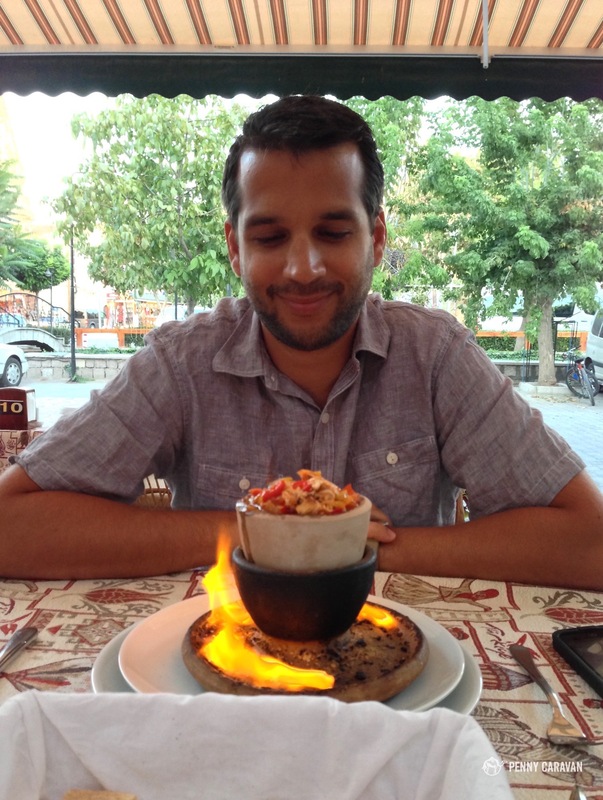 It may not look appetizing, but it’s probably the best meal I’ve ever had in Istanbul. You’ll find lots of Turkish ice cream vendors on the street. 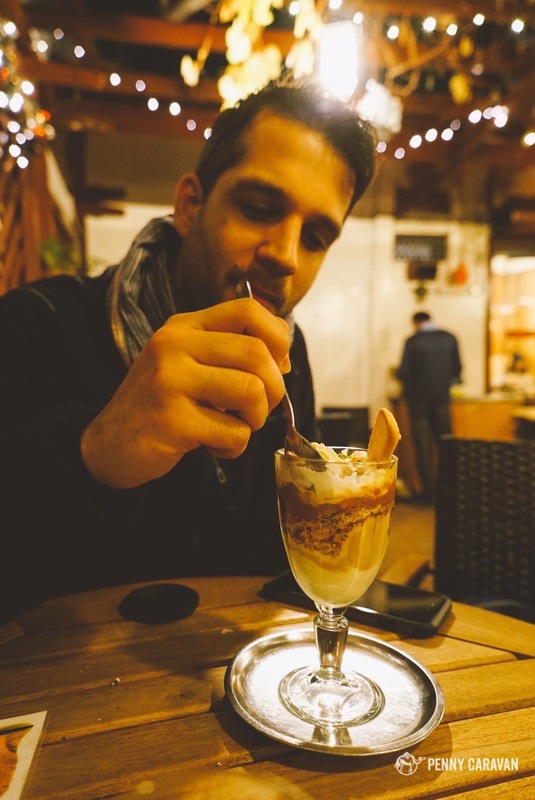 But the Cup Griye ice cream dish that was invented here at Baylan’s is so famous, it’s served worldwide! 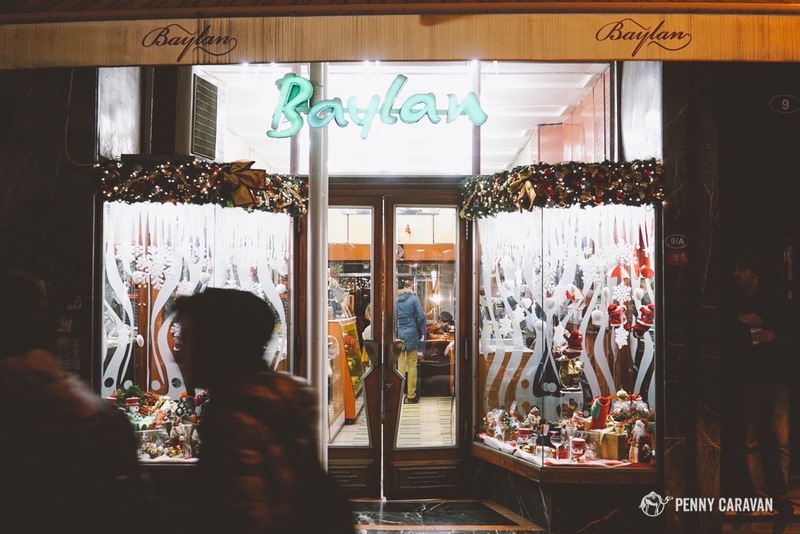 Baylan is located on Istiklal Street. Walk all the way to the back for cute patio seating. 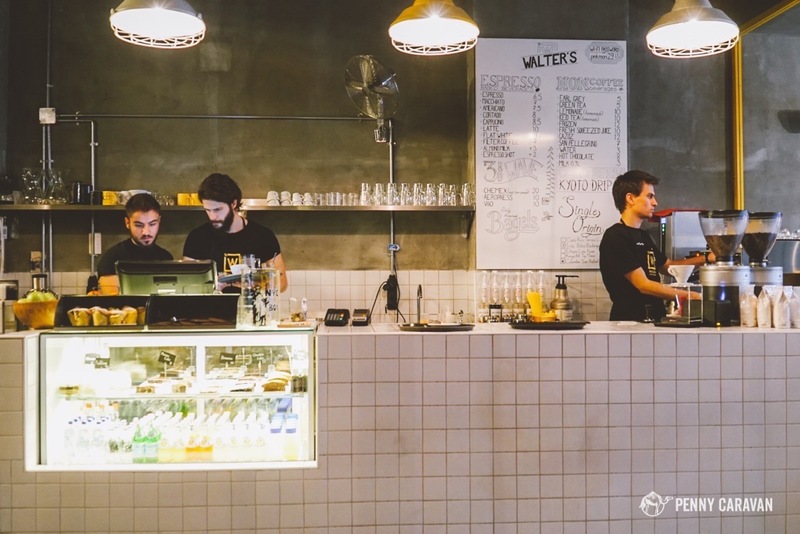 Fans of the TV show “Breaking Bad” will be tickled to discover Walter’s Coffee Roastery, which is decorated in a chemistry theme in homage to the show’s main character Walter White. Being fans of the show, and living so close to Albuquerque where the show is based, we simply had to stop in to check it out. 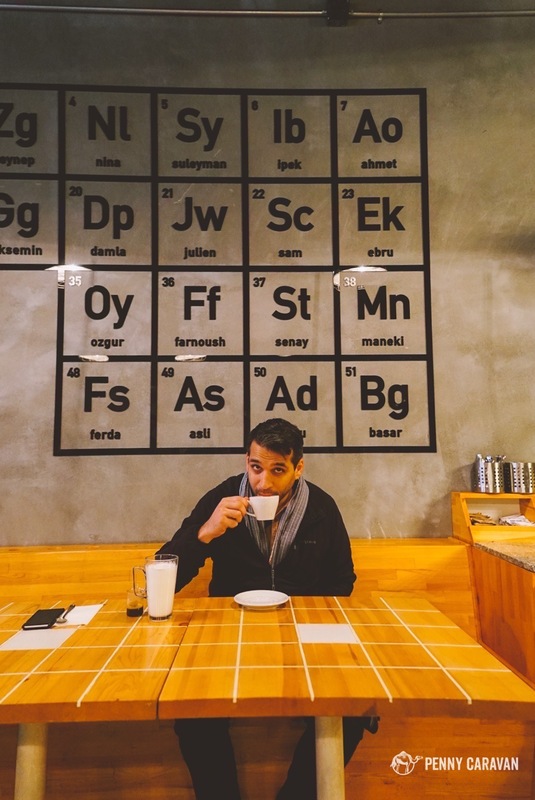 Walter’s Coffee Roastery is a “Breaking Bad” themed coffee shop. Definitely a cool vibe at this place with lots of students hanging out. The wall of elements honors the kickstarter backers who helped get the shop open! 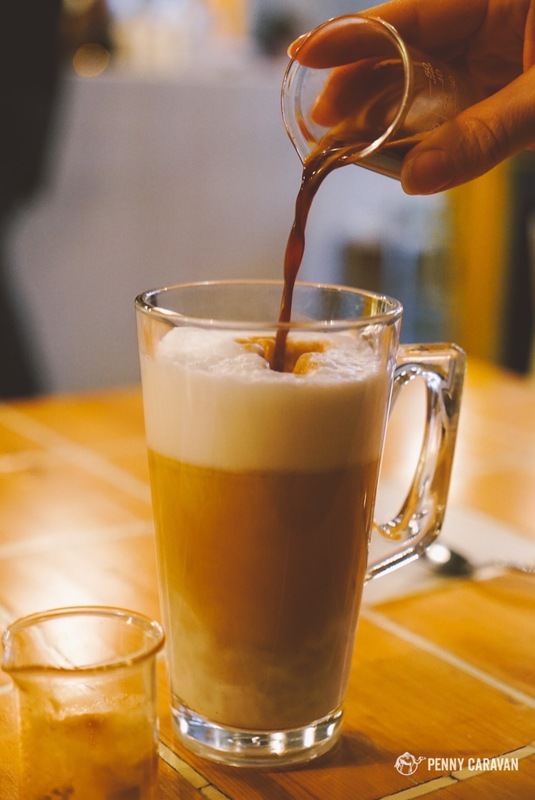 Pouring my latte which was served deconstructed in beakers. 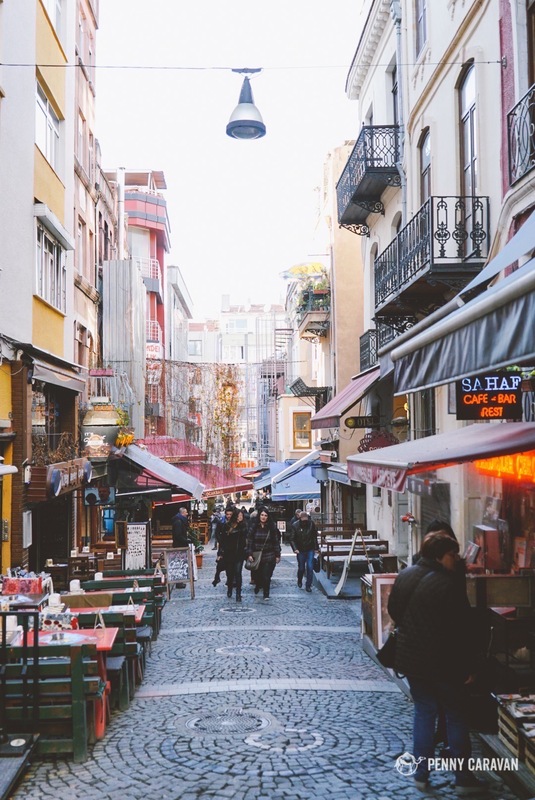 We’ve only covered three of Istanbul’s thirty-nine districts, and I still feel like we’ve only scratched the surface of those three! 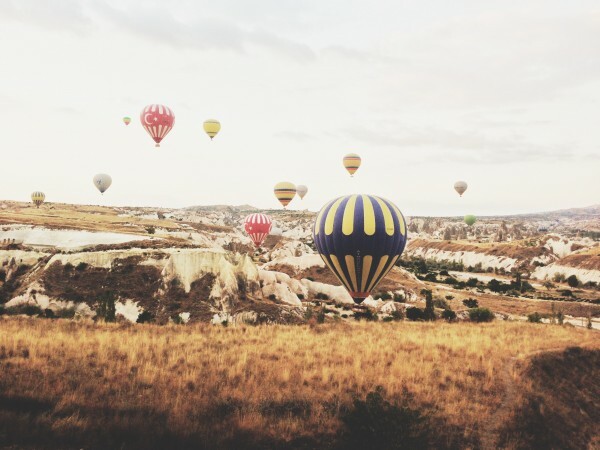 Istanbul is one of the oldest continually inhabited cities in the world, spanning two continents and home to 14 million people. 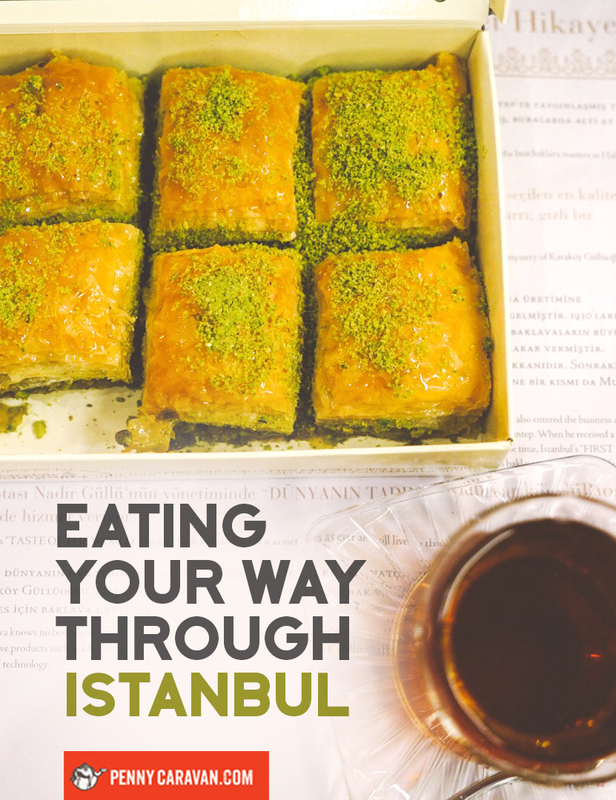 With such a variety of cultures and cuisines to experience, there’s plenty for foodies to learn and discover in Istanbul. 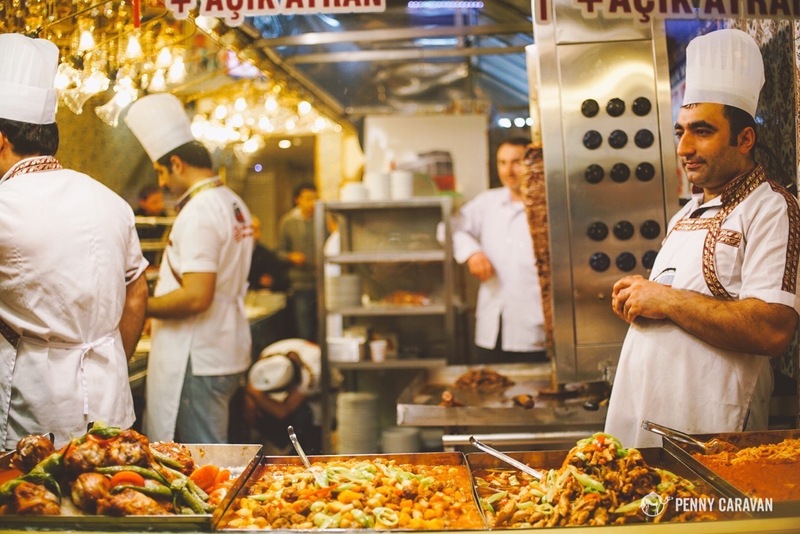 Do the work and research to get away from the tourist restaurants in Istanbul and you won’t be disappointed!